Special thanks to actress Adrienne Barbeau for stopping by TECO Theater on Friday for a quick Q & A with the cast of Patel Conservatory’s Fiddler on the Roof. 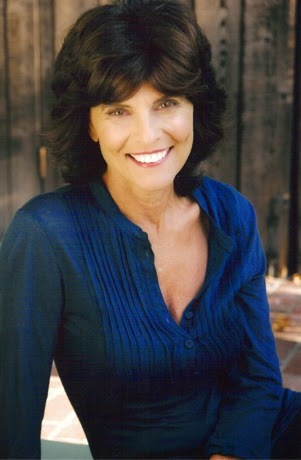 Barbeau, the iconic actress who rose to popularity in the 1970’s, is best known for her role as Bea Arthur’s daughter, Carol, in the hit TV show Maude, and for films such as The Fog and Swamp Thing. She currently plays Berthe in the Broadway tour of Pippin, which played at the Straz Center last week. At the age of 69, she takes on high flying trapeze stunts in her role as Pippin’s grandmother. Before for her own performance on Friday evening, she stopped by the set of Fiddler to meet the cast, take questions and offer her expertise and wisdom for those interested in a career in show business. Barbeau spoke of her time with the original Broadway company of Fiddler on the Roof in 1965, and how she went from ensemble, to playing Hodel alongside Bette Midler. She also created the role of Rizzo in Grease on Broadway, for which she was nominated for a Tony Award®. She shared life anecdotes and answered several questions from the cast that ranged from her favorite show to advice for anyone wanting to pursue an acting career. She was gracious and kind, and it was a great opportunity for the cast to share in the experience. Being a part of the Straz Center, the Patel Conservatory strives to offer opportunities like these whenever possible for guest artists to share their experience with our students. Thanks to Barbeau for sharing her time and talent. Fiddler on the Roof continues through this Saturday, April 25.